Is That Symptom a Drug Side Effect…Or Something Else? While taking a med, you experience headaches, muscle pains, nausea or other symptoms. How do you know if these are related to a drug or something else? My mother always had a habit of pointing her “finger of blame” at her medications whenever she experienced a change in well-being. Anytime she had a headache, sleepless night, upset stomach, cramping, diarrhea, itchy rash or sore muscles, it surely must have been caused by one of her medications. If the doctor prescribed a new medication or the pharmacy dispensed a different color or shape of pill, it made her even more suspicious. When she complained to me about it, I tried to convince her that it might not be the medication at all. Similarly, I recently noticed some moderate muscle cramping and achiness over a period of few days. I found myself pointing my finger at the medications my physician put me on early last month. But after thinking about the 30-foot ditch I had been digging by hand in cold and windy weather over a period of three days, I began to realize it probably wasn’t the medication at all. It was likely due to physical exertion in cold weather that I wasn’t normally used to. So how does one really know if a negative reaction is a medication side effect or not? I often suggest that patients should not start multiple new medications at the same time. This makes it difficult to pinpoint what is causing your symptoms, making it even more difficult to resolve them. Personally, I will start one medication for one medical condition at a time, taking it for several weeks before starting a second medication. This makes it easier to determine if I’m experiencing any side effects and whether they go away after a few weeks. If I’m tolerating the first new medication well, then I would add the second medication to my daily regime. Working with my physician in this manner helps to determine if I am having a side effect to one medication or another. It’s sort of like A/B type testing. Working with your doctor you could start medication “A” and wait several weeks before beginning medication “B.” This staggering of when you begin taking a new medications is helpful in determining which of the medications might be causing what side effect. If you do start experiencing a symptom after starting a new med, you should assume it is a side effect, unless proven otherwise. You should speak with your doctor as soon as possible about what you are experiencing. Separately, if a drug you have been taking has a new shape or color when you get a refill, it’s usually not a reason to panic. Your pharmacy likely has changed manufacturers for a generic drug. Still, if you have concerns, speak with your pharmacist. Side effects differ from medication allergies and adverse events. An allergic reaction usually results in hives, rash or itchy skin in mild cases but can manifest as swollen eyes or face, tightness in the throat or difficult breathing in more severe cases. An adverse medication event can be predictable and dose related — or unpredictable and unexpected regardless of dosage of medication. Both allergic reactions and adverse events are much less common than side effects. Side effects are undesirable effects but they differ in that they are usually foreseen or predictable by your doctor and you should be told you might experience them when taking the medication. Often they are transient so they subside or go away after a few weeks. Nausea, dry mouth, lack of energy, weight gain, weight loss, stomach cramps, muscle aches, stuffy nose, ringing in the ears are all examples of side effects that may go away or become tolerable after taking the medication for a while. Sometimes it’s hard to determine if it is a medication-related event at all. Maybe it was something you did? Something you ate or drank? Or is it just one of the symptoms your body getting older? 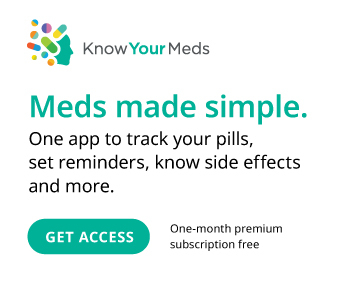 How do you determine if it is a medication side effect? You should always let your doctor know about any other medications or supplements you are taking and whether you have experienced side effects, allergies or adverse reactions to any medications in the past. Always report to your doctor when you think you are experiencing side effects and follow their instructions when to start or stop medications. Dave Walker, RPh, is a pharmacist and a member of the MedShadow medical advisory board. He has practiced in multiple pharmacy settings as a pharmacy owner, hospital director of pharmacy, district manager for a pharmacy staffing agency, and currently director of pharmacy at a rural, nonprofit clinic and pharmacy. You can follow him on Twitter @drwalker_rph.